Soy Canada Wraps Up Asian Trade Mission | Chatham-Kent Agriculture Development | We Grow For the World! An opportunity to learn more about the new South Korean market for Canadian soybeans highlighted the recent 2016 Soy Canada trade mission. During the mission that wrapped up on Feb. 19, delegates from the Canadian soybean industry attended meetings with a number of soyfood associations and government agencies in South Korea and Japan. In South Korea, participants learned about the government’s tender process for securing imported soybeans and the volume opportunities available for Canada. South Korea is a new market for Canadian soybeans, with duty free access only becoming available after the signing of the Canada-Korea Free Trade Agreement. 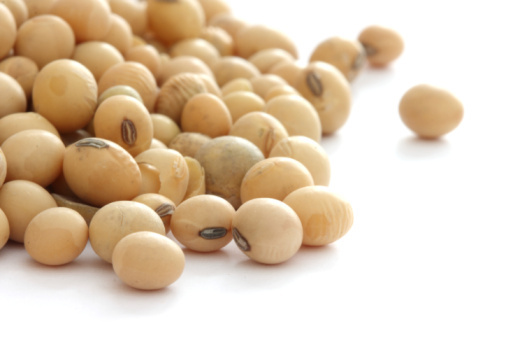 To date, Canada has exported around 10,000 metric tonnes per year of food grade, non-GM soybeans to that market. Japan continues to be the largest market for Canadian and Ontario food grade, non-GM soybeans, with over 300,000 metric tonnes exported each year. The Canadian delegation learned about Japan’s changing demographics and a recent shift in taste profiles that has resulted in a decline in soyfood consumption. Mark Brock, Chair of the Grain Farmers of Ontario, gave a presentation on Ontario farmers’ commitment to environmental sustainability at the Canadian soybean industry seminar, which was held in Tokyo on Feb. 18.